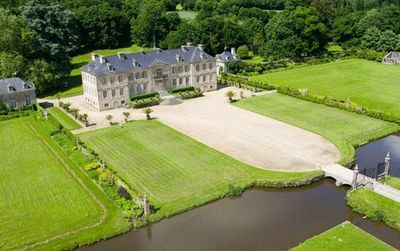 This château has an interior that has remained unchanged since the 18th century with Versailles parquet and rare marble fireplaces in each room. The grounds are expansive and there are three cottages, the Mill,the Bakery, and the Orchard, each lodging six to eight persons. The Mill has been converted into a spacious accommodation. It comprises three bedrooms, two bathrooms, a formal dining-room, sitting-room and library. There are two fireplaces with a generous supply of logs. With its romantic location on the mill stream this tastefully decorated cottage provides comfort and calm. The Bakery has been transformed into a two bedroom cottage offering modern conveniences in a quaint setting. Each cottage is furnished with fine period furniture and attractive textiles. Annick and Jean-Jacques are delighted to help make your vacation at Chateau de Pont-Rilly an unforgettable and unique experience.